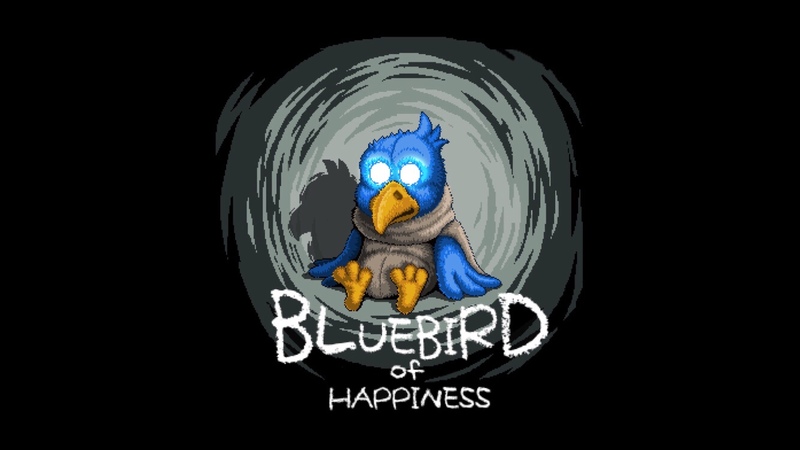 This is a complete walkthrough guide with hints, tips, tricks, solutions and answers for the iOS and Android adventure game, Bluebird of Happiness, by Daigo Sato. Feel free to ask for extra help in the comments section. You can watch my video walkthrough here or continue below for my step-by-step guide. 1. After the intro, you’ll be in the bedroom. Find the light switch and shut the lights off. Then go to bed to start dreaming. 2. Talk to BirdHead. He asks you to find him more fishing bait. 3. Pick up the rock to the right and grab the worm from under it. Give it to BirdHead and he’ll give you a cell phone. 4. Open the cell phone and tap CHECK. It gives you a free hint to talk to BirdHead after you hang up. 5. Talk to BirdHead and he’ll give you a water bottle and ask you to fill it up for him. 6. Head left twice. Pick up some firewood from the pile. Fill the bottle with water from the well. 7. Pick up the spider web/net and the branch by the well. The game will tell you how to combine items. Combine the brand and spider web to make a bug catcher. 8. Head right and use the net to catch the cricket. 9. Head right and give the water to BirdHead. A frog will jump out and eat his key! 10. Place the cricket on the ground near the frog and he’ll come out to get it. Take the key from him and give it back to BirdHead. 11. BirdHead invited you inside for a drink, so head left and go inside his house and drink the juice. 12. After he goes to sleep, pick up the cheese from the table. Also, pick up the fishing rod. Put the firewood in the stove. 13. Attach the cheese to the fishing rod. 14. Pick up the stool by choosing to CARRY IT. This next part is a bit tricky because placing it down where you want is not so easy. But place it under the dresser to the left and STEP ON IT to get the magnifying glass. 15. Open the left window and take the heart-shaped gem. 16. Open the right window and use the stool to reach a flyer that says HELL on it. 17. Leave the house. Place the flyer under the beam of light to the left. Use the magnifying glass to light it on fire and use the bug catcher as a torch. 18. Head right. Use the fishing rod and cheese in the hole to draw out a mole. Talk to him and he’ll give you a club-shaped gem. 19. Place the gem in the socket below the forth statue. Place the heart-shaped gem under the first statue. 20. Go right and use the fishing rod to fish. You’ll get a boot! Click on the little numbers below to continue to the next part of the walkthrough or click here. after the ‘happy ending’, how can i save the gril?